SUPER HIT REPORTS ON WORLD CUP’S FIRST DAY..BOTH MATCH REPORT WENT SUCCESSFUL..NOW TIME FOR JACKPOT..
World Cup 2015 ki suruaat SCP ne dhamakedaar andaaz mein ki hai. Firsd day hi 2no matches mein full script ke sath successful report di gayi. Humne jo score report di wo bhi correct rahi. 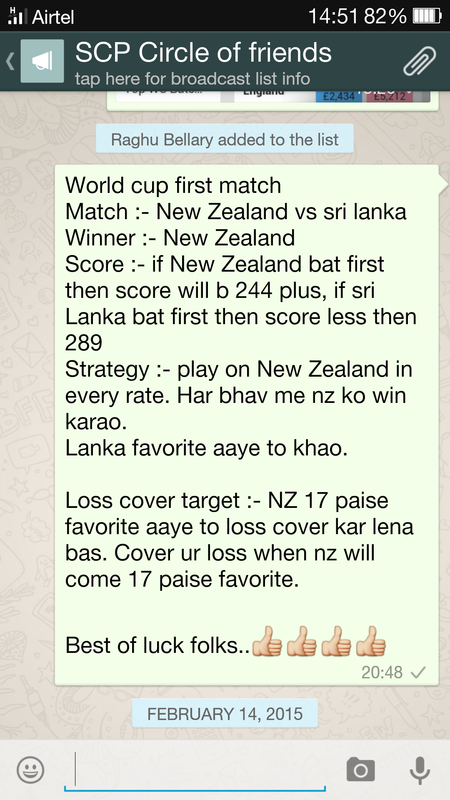 Apne promise ko pura karte hue first day hi humne ek SURE SHOT NO NEED TO COVER LOSS MATCH report bhi di. 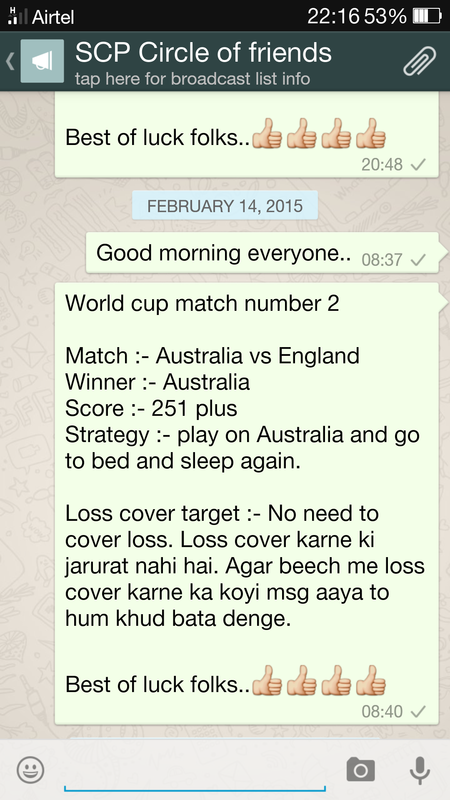 AAJ KE DONO MATCHES KA SCREEN SHOT NEECHE UPLOAD KIYA JA RAHA HAI. AAP CHECK KAR SAKTE HAIN. This entry was posted in Uncategorized by scpcrickettips. Bookmark the permalink.